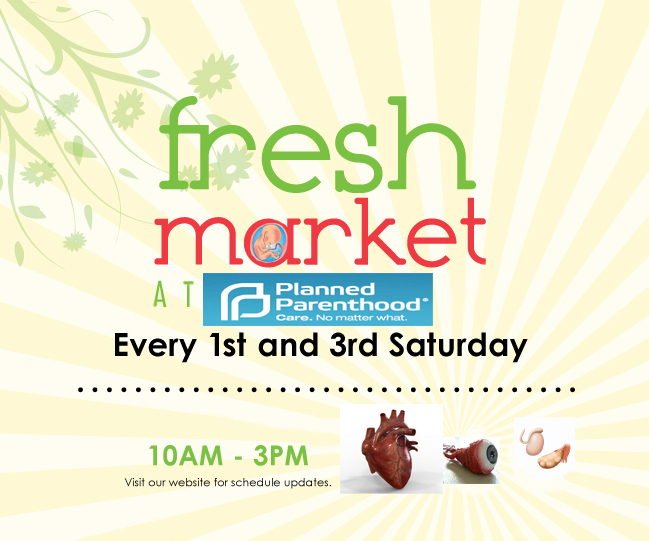 I hear they’re having a “Fire Sale” on fresh baby hearts, eyes, and gonads. Posted in Deesgusting, DEFUND!, Enough!. Stanley Kurtz, a senior fellow at the Ethics and Public Policy Center, has been ringing alarm bells about the “Radical in Chief’s” plan to transform (read: destroy) American suburbia since 2012. The feds now want to take billions in housing grant money, and condition it on communities proving that they have (what the Feds consider) the correct mix of citizens based on income, race, ethnicity, etc. “This is what happens when you put a community organizer in the White House – he tries to organize your communities from Washington,” Kelly’s guest Marc Thiessen said. The good news is – Congress is trying to stop Obama’s power grab by exercising their power of the purse. Posted in Commies, DEFUND!, Enough!, Fascism, Not Good, ObamaFAIL. No, I won’t post a video of Obama’s obnoxious lecture, this afternoon. If you missed it, believe me – watching this absurd Community Organizer reiterate a pack of lies, bash republicans and pretend he’s some kind of expert on the economy – is not worth your time. It’s also not worth your time to hear him answer the White House press corps’ questions because the ones he called on only threw softballs – if you can believe that. But I will post an audio of Rush Limbaugh responding to it. By that I mean when the president takes up a line of argument against his opponents, it cannot really be taken seriously — not just because it is usually not factual, but also because it always contradicts positions that Obama himself has taken earlier or things he has previously asserted. Whom to believe — Obama 1.0, Obama 2.0, or Obama 3.0? When the president blasts the Republicans for trying to subvert the “settled law” of Obamacare, we trust that Obama himself had earlier done precisely that when he unilaterally subverted his own legislation — by quite illegally discarding the employer mandate provision of Obamacare. At least the Republicans tried to revise elements of Obamacare through existing legislative protocols; the president preferred executive fiat to nullify a settled law. In short, whenever the president prefaces a sweeping statement with one of his many emphatics — “make no mistake about it,” “I’m not making this up,” “in point of fact,” “let me be perfectly clear” — we know that the reverse is always true. For Obama, how something is said matters far more than what is said. Republicans have passed more than a dozen bills to open the government and provide Americans with relief from ObamaCare, but Democrats continue to just say “no.” The American people reject the Democrats’ “my way or the highway” approach. It is time for Democrats to engage congressional Republicans to solve our problems. Speaker Boehner at his press conference today addressed President Obama’s refusal to negotiate a path forward on funding the government, raising the debt limit, and protecting all Americans from ObamaCare. “Rep. Baron Hill (D-Ind. ), the Blue Dog’s policy chief, issued his most pointed threat Friday morning in a news conference with House Majority Leader Steny Hoyer (D-Md. ), calling this the ‘bewitching hour’ for controlling the nation’s debt. So, what did the President & Democratic leaders have to say about this “ransom” demand? In fact, 10 Democratic Senators – including Sens. Begich (D-AK), Bennet (D-CO), Feinstein (D-CA), Klobuchar (D-MN), McCaskill (D-MO), Nelson (D-FL), Udall (D-CO) and Warner (D-VA) – sent a letter to Senate Majority Leader Harry Reid (D-NV) at the time stating they “strongly believe that as part of the debate to increase the debt limit, Congress needs to put in place a special process that allows Congress and the Administration to face up to our nation’s long-term fiscal imbalances.” Sen. Feinstein went so far as to say “I will not vote for raising the debt limit without a vehicle to handle this.” Were these the “hostage-takers” the White House refers to? “Refusing to negotiate is an untenable position,” Speaker Boehner said today. That position is made all the more untenable by the president’s arbitrary distinction between the demands his own party was making in 2010, and the demands House Republicans are making today, which are backed by the majority of the American people. It’s time for the president to stop talking to the cameras, and start a conversation with Republicans on a path forward on the debt limit, government funding, and protecting all Americans from his disaster of a health care law. Posted in DEFUND!, Enchanted Media, Obamacare, ObamaFAIL, Regime, Repubs. Those of us who have watched, appalled, at the Divider-in Chief’s Chicago thug politics over the years can only shake our heads in disgust but not disbelief at his mendacity at this point. Obama let slip his true feelings in an interview with NPR on Monday, when he said, he shouldn’t have to offer anything to Republicans in exchange for getting what he wants. Obama stood with his party members in the Senate. Steve asked if that opportunity to avoid a shutdown exists, what was he willing to offer. “Steve when you say what can I offer? I shouldn’t have to offer anything,” Obama said. Thus did the American public get a very candid glimpse of the president whose contempt for duly elected Republican opponents is exceeded only by his fecklessness in the face of America’s enemies abroad. To Putin and the Iranians come offers of all sorts. To the Speaker of the House, only ultimatums. The President’s position is: – Do what I want, and if you don’t you’re to blame for whatever happens. Including his decision to play the Social Security Trump Card. And Dingy Blocked Funding For Veterans. Senate Democrats blocked four resolutions to fund government programs, including paying the National Guard and opening national parks, as Republicans offered the limited measures in an attempt to win the government shutdown fight by financing popular programs and leaving those they oppose untouched. “Unbelievably, today Senate Democrats went on record to oppose funding for National Guard and Reserve salaries, veterans’ services, lifesaving medicine and cures, and national parks and museums,” Senate Republican Conference chairman John Thune, R-S.D., said in a release following the procedural battle. They think America approves of this? The Shut Down Theater featuring “the Barry-cades” has thus far been a public relations disaster for the Democrats. (The latest outrages, here.) And the divisive trash-talking and fear-mongering antics by Democrats and RINOs aren’t helping their cause, either..
Posted in DEFUND!, Dems, Dingy, Enough!, ObamaFAIL, Shut-down Theater.